"It has become imperative to inform the members of the public that we have every reasons to believe that a petition recently submitted to the Economic and Financial Crimes Commission (EFCC) by the Peoples Democratic Party (PDP), Kwara state chapter, is largely responsible for the invitation and eventual criminal prosecution of the former Kwara First Lady and wife of the Senate President, Mrs. Toyin Saraki. It will be recalled that our party had sometime early this year discreetly submitted a petition to the EFCC detailing how certain individuals in high places under the past administration of Dr. Bukola Saraki milked the state dry and left the people more impoverished than they met them. In the said petition, we carefully chronicled how state officials, including former First Lady, Toyin Saraki; former Special Adviser to the Governor on MDGs, Mr. Ope Saraki; Personal Assistant (PA) to ex-Governor Bukola Saraki, one Mr. Abdul Adama from Kogi state; a former Commissioner for Information, Mr. Tunji Morounfoye, all working in a ring, got enmeshed in a cesspool of corruption unprecedented in the history of Kwara state or any other state of the federal for that matter! 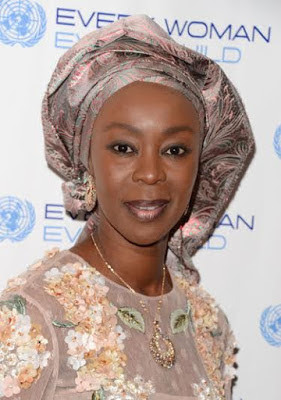 Although, we believe that the arrest and prosecution of Mrs. Toyin Saraki is long overdue, we nevertheless take solace under the fact that the long arm of the law seems to have finally caught up with her and her cronies. We are particularly delighted that our painstaking efforts at chronicling the monumental heist that defined the eight years, almost uneventful rule of former Governor Bukola Saraki in Kwara, has not gone unnoticed. We therefore commend the EFCC for its resourcefulness and painstakingness. We pledge our cooperation with the EFCC and all other relevant anti-graft agencies to ensure that all those who knowingly looted our collective patrimony, but now walking the streets of Kwara free with their ill-gotten wealth, do not go unpunished. “We urge the anti-graft agency not to buckle in to pressure or blackmail that is already being mounted by political jobbers over Mrs. Saraki’s invitation by the EFCC. Instead of sponsoring paid activist-for-hire to stampede the EFCC out of the prosecution, one would have thought that the most moral thing for Toyin Saraki and her handlers to do now is to allow the law to take its cause. Since the duo of Ope Saraki and Tunji Morounfoye are already standing trial for their crimes, one would expect Mrs. Saraki too to seize the moment and clear her name, instead of playing to the gallery. “For the avoidance of doubt, we reiterate that the offences Mrs. Saraki is being accused of are criminal in nature and such offences are not known to be statute-barred. Therefore, the fact that it took over five years after Mrs. Saraki left office as Kwara First Lady before she is eventually brought before the law does not matter.